Supported by the next generation of scientists! The Research & Conservation Department is hopping this summer with one of their most intense field seasons ever. Researchers are documenting plant and fungal diversity across the state, collecting and contributing to the global genome biodiversity tissue bank, conserving seeds of rare species, investigating population biology of federally listed species and monitoring vegetation and pollinators along riparian corridors. To successfully tackle all these projects, the department is supported by the following excellent team of seasonals, interns and graduate students: Erin Barbeau, Liam Cullinane, Audrey Dignan, Katherine Fu, Meghan McGill, Margo Paces and Jessica Romer. Thank you to this wonderful, hard-working group who stand in the hot Colorado sun recording endless reams of data, battle biting flies and mosquitos and avoid poison Ivy and the lesser known, but quite painful, Rice Cutgrass. As each of them move forward in their chosen field, they will apply their newly learned skills and expertise to the study and conservation of biodiversity. Erin Barbeau, museum intern, is a MS student in the University of Colorado-Boulder Museum and Field Studies Program. She supports the day-to-day operation of the Kathryn Kalmbach Herbarium helping ensure the herbarium runs smoothly when staff are out in the field. 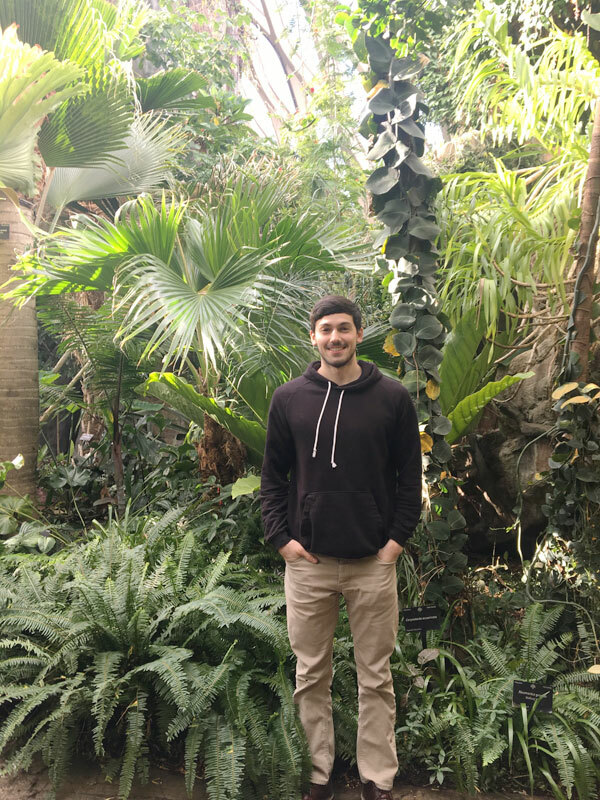 Liam Cullinane is a MS student at the University of Colorado-Denver, Integrative and Systems Biology Department and advised by Dr. Rebecca Hufft, associate director of applied conservation at the Gardens. As a research fellow, Liam is conducting a baseline survey of bees along the 71-mile High Line Canal, which traverses the Denver Metro Area. By pairing his study with the vegetation monitoring and botanical survey by department staff along the canal, his research will help land managers understand the Canal’s value as a corridor and refuge for pollinators. 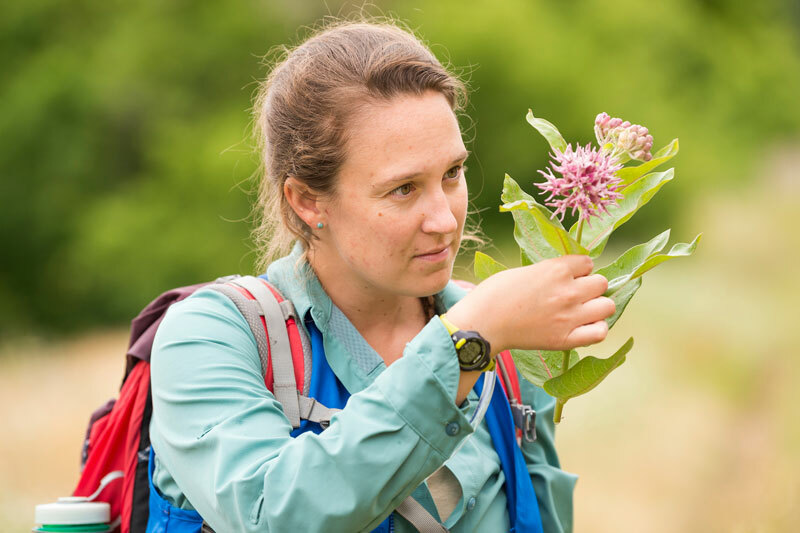 Audrey Dignan, botany seasonal, is a MS student at the University of Colorado-Denver, Environmental Studies Department. Audrey is assisting the botanical survey of the High Line Canal. When combined with vegetation and pollinator monitoring by department staff and Liam Cullinane, the results will bolster sustainable management of the Canal to ensure conservation of natural communities that best serve wildlife and create, vibrant landscapes to draw residents to recreate. Katherine Fu is both a botany seasonal and a Ph.D. student at the University of Colorado-Denver, Integrative and Systems Biology Department. She is also advised by Dr. Hufft. 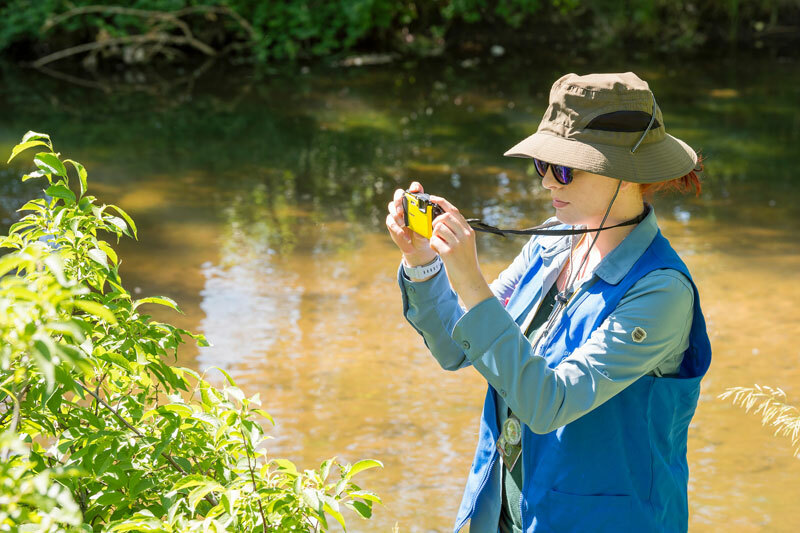 In her role as a seasonal, Katherine is assisting with long-term vegetation and aquatic macroinvertebrate monitoring along two riparian corridors, High Line Canal and Deer Creek. As a graduate student, Katherine is continuing the soil seed bank study she started in 2017. And, she is tackling a multi-species greenhouse drought experiment on species used in North American prairie restoration. 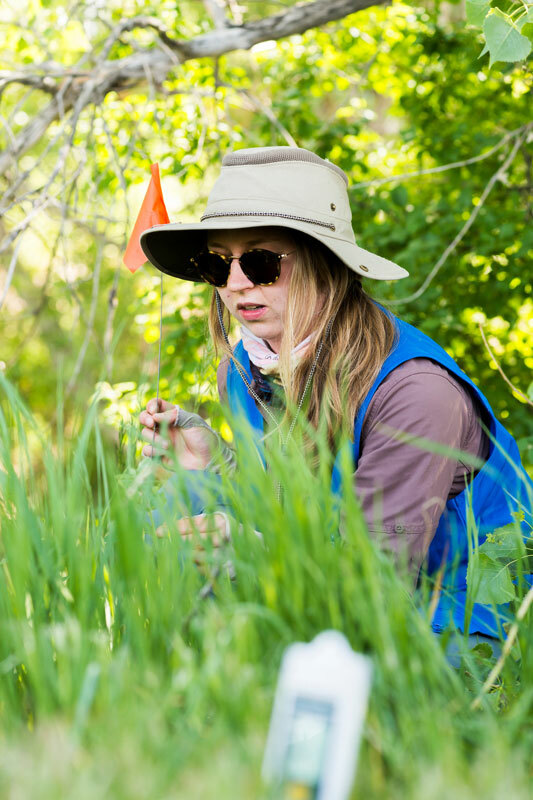 Her work will provide valuable insight on seed sourcing for successful restoration. Meghan McGill, botany seasonal, just completed her MS in Environmental Science at Regis University. 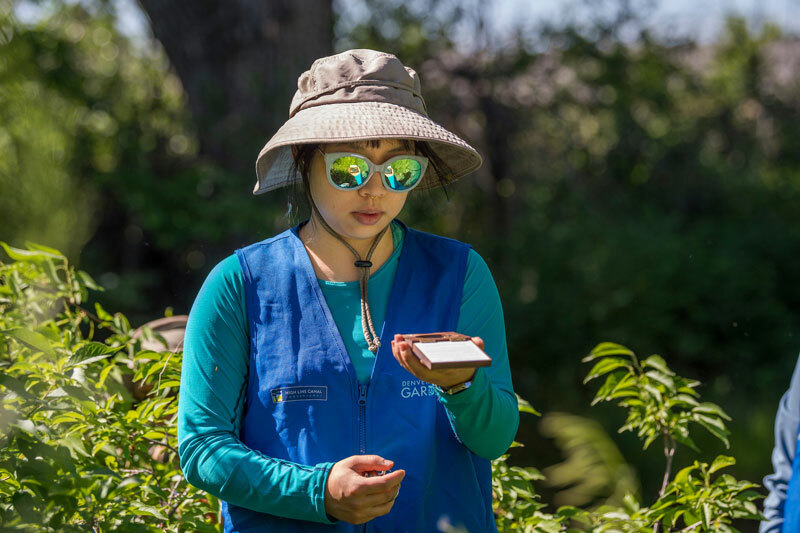 She is assisting with long-term restoration and demographic monitoring projects as well as seed scouting of rare species and botanical surveys. Her role allows her to participate in and support most of the department projects. 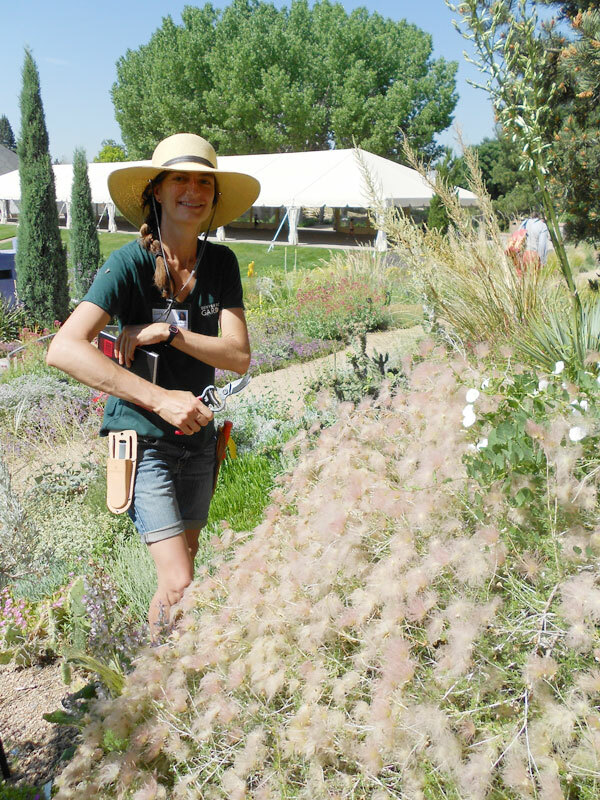 Margo Paces returned for her third year with the department as a botany seasonal. She is continuing to work on the Deer Creek Restoration project, which expanded this year from Chatfield Farms to the upstream Jefferson County Open Space. She also assists with vegetation monitoring along the High Line Canal, demographic monitoring and seed scouting. Margo will be starting her MS in the fall at the University of Colorado-Denver, Integrative and Systems Biology Department with Dr. Hufft as her advisor. Jessica Romer is this year’s Global Genome Initiative Gardens intern. Jessica has certificates in horticulture and landscape design, which makes her a perfect intern for this project that spans both the Research & Conservation and Horticulture departments. She is collecting herbarium specimens and tissue from species at the Gardens York Street location. These collections will contribute to the global genomic biodiversity tissue bank at the Gardens. Without each one of them, the department would not be able to accomplish so many research projects this summer. And, providing them with opportunities to further their professional development is rewarding. ‹ Previous Article: "Wildflowers of the Rocky Mountain Region" Now Available! I am looking for a few interested people to join me in the remote Ecuadorian Amazon headwaters to document and discover plant species in a remote and seldom visited part of the Amazon. Guides are from the Achuar (indigenous) population who also provide housing and food. Many of the areas have not been visited by outsiders before. My Achuar friends are also willing to share some of their knowledge of medicinal plants.